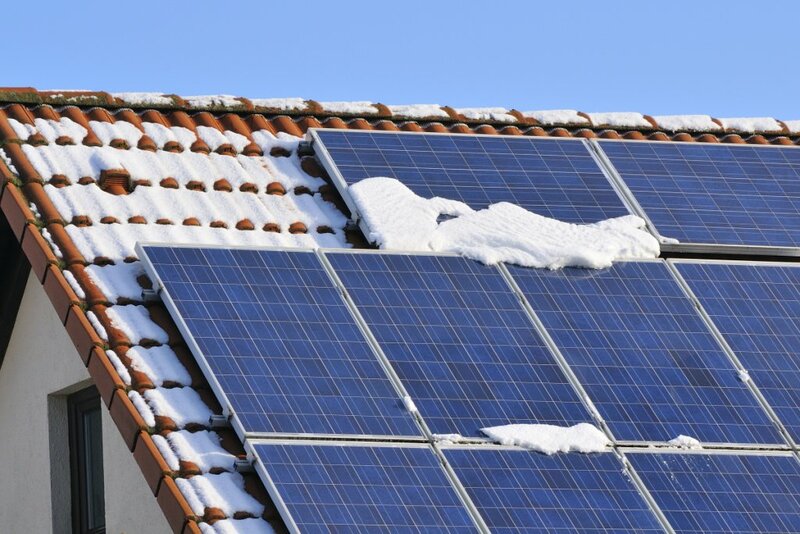 Less direct sunlight and shorter daylight hours typically result in a lack of solar energy during winter months. But, that could all change soon. Researchers from Chalmers University of Technology in Sweden have improved a molecular-based system that can store solar energy collected in the summer so it can be used during the dark winter months. Last year, the researchers found a molecule made from carbon, hydrogen and nitrogen that is capable of storing solar energy. The molecule is converted to an energy-rich isomer when it is hit by sunlight. The researchers used the isomer in its liquid form for a new solar energy system dubbed MOST (Molecular Solar Thermal Energy Storage), which they have since improved upon. The solar thermal collector is a concave reflector with a pipe in the center that can track the path of the Sun across the sky, focusing the rays to a point where the liquid leads through the pipe. In the updated version of MOST, the liquid captures energy from sunlight in a solar thermal collector on the roof of a building. The energy is then stored at room temperature to minimize how much energy is lost in the process. Building on last year’s breakthrough, the researchers created a catalyst that can control the release of the stored energy by acting as a filter where the liquid flows to produce a reaction that warms the liquid by 63 degrees Celsius. When the liquid’s temperature is increased as it is pumped through the filter, the molecule is returned to its original form so that it can be reused in the warming system. When the energy is needed for domestic heating system, it can be drawn through the catalyst so that the liquid heats up. The liquid can then be sent back to the roof to collect more energy without producing any emissions of damaging the molecule. In the original system, liquid had to be partly composed of toluene—a flammable chemical that is potentially dangerous. In the new version of MOST, the researchers were able to remove the toluene and use just the energy storing molecule. The researcher’s next plan to combine all of their advancements into one coherent system so that it can be a commercially viable system within the next decade. They also hope to extract more energy into the system and increase the temperature to at least 110 degrees Celsius.